Purchase two exclusive merchandise ranges at Napier i-SITE Visitor Centre. Our Art Deco Capital and Napier New Zealand ranges are illustrated by award winner Stephen Fuller. The Napier New Zealand range features historic buildings known locally as The Six Sisters, situated along Marine Parade. The Six Sisters provide a wonderful photo opportunity and well loved by locals and tourists alike. 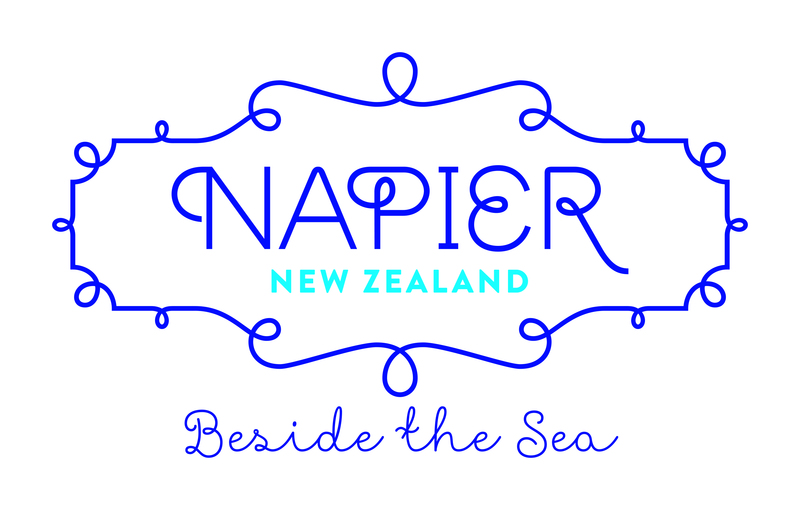 The range includes art prints, magnets, postcards, T-shirts, tea towels and cushion covers along with T-shirts and tote bags displaying the 'Napier, Beside the Sea' logo only. The Art Deco Capital Napier range represents iconic features of Napier in Art Deco style. This is a hugely popular gift range including art prints, stationery, homeware and more. Take a piece of iconic Napier architecture home with you. These beautifully crafted art deco facades are lightweight and come flat-packed - an ideal gift to send home or for you to make during your trip. Exclusive to the Napier i-SITE you can choose from four designs: National Tobacco Building, The Daily Telegraph, Tennyson Chambers and Central Fire Station.